Like the old saying: “All of the good things must come to an end”, and it also applies to our great tour. After four exciting and action packed days, our Java Steam & Sugar tour has finally reach its final day. But it will not end with just a plain straightforward trip between Jember to Surabaya and dropping them to the hotel. 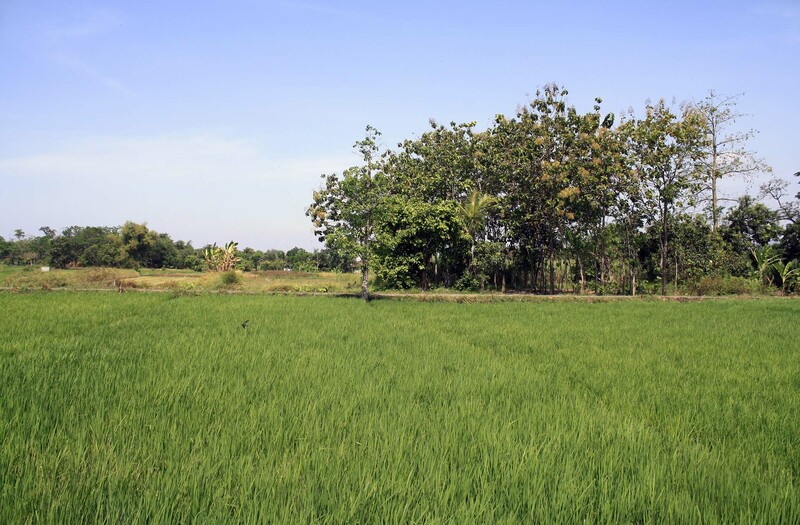 Midway through our return journey, we will also drop by at Kedawung sugar mill in eastern Pasuruan to see its field lines action. After breakfast, we packed up our belongings and checking out from the beautiful hotel that has been our base for 3 nights in Jember. It is a nice hotel to stay, but rather overpriced when compared to other Aston hotels that I’ve stayed. The room is rather small, which makes it slightly uncomfortable. And the breakfast never met my expectation at all. But since it is called “the best in town”, and even Geoff complimenting the hotel selection, I think it may be an adequate choice after all. The drive from Jember to Pasuruan is uneventful. 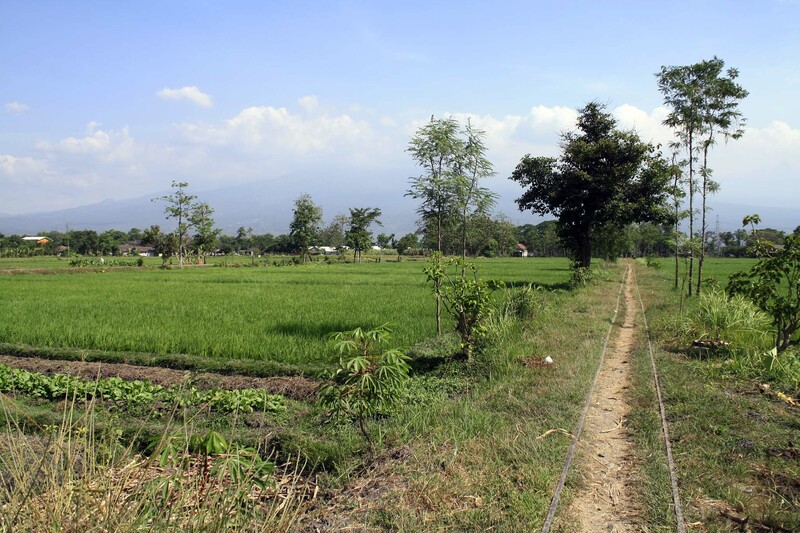 It is largely quiet and peaceful between Jember to Klakah. But beyond Klakah the road is packed with overweight and oversized trucks who struggled to climb the gradient, stalling the traffic and causing congestion. After we clear Probolinggo the road condition is generally tolerable as the road is much wider and also flat. 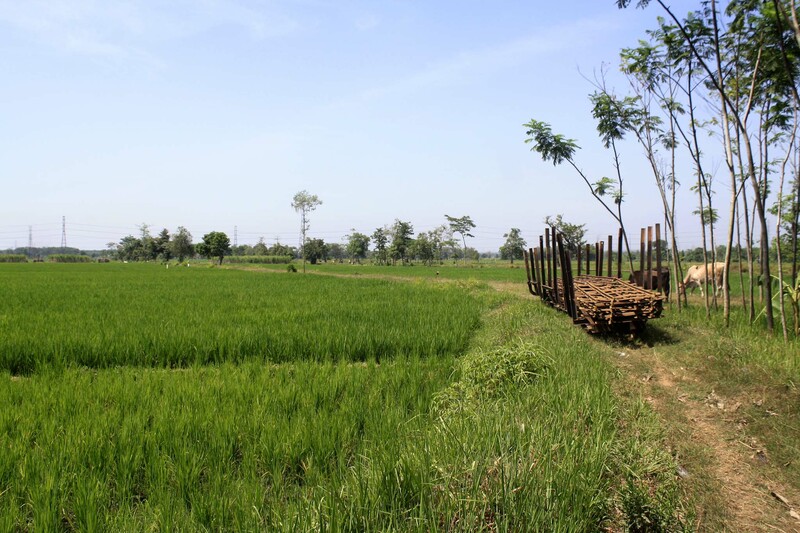 Upon arriving at Rejoso district, where the Kedawung mill is located, we turned south and start exploring the field lines. It seem that the harvesting season have been shorter than last year. 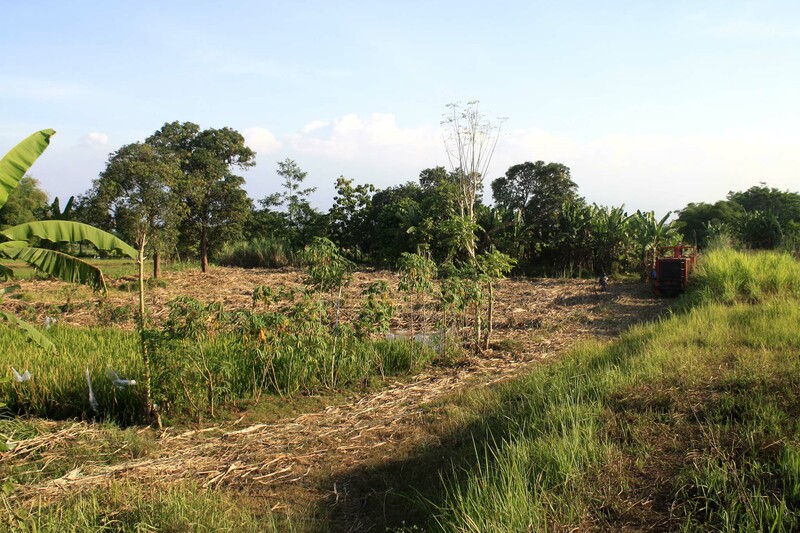 When we goes around, we are really surprised to see that majority of sugarcanes have been harvested. 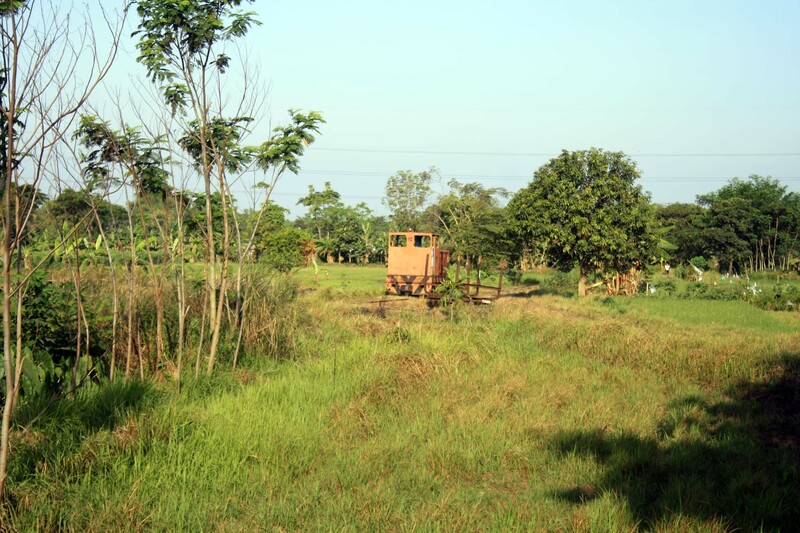 Very little wagons can be seen on the field lines. Of those that we found, all are loaded with temporary tracks. No sign of loading process being undertaken. Have they concluded the field workings? I know in some mills, they sometime ended the field lines workings several weeks before the actual closure, and relies the supply for the remainder of the season solely from road trucks. 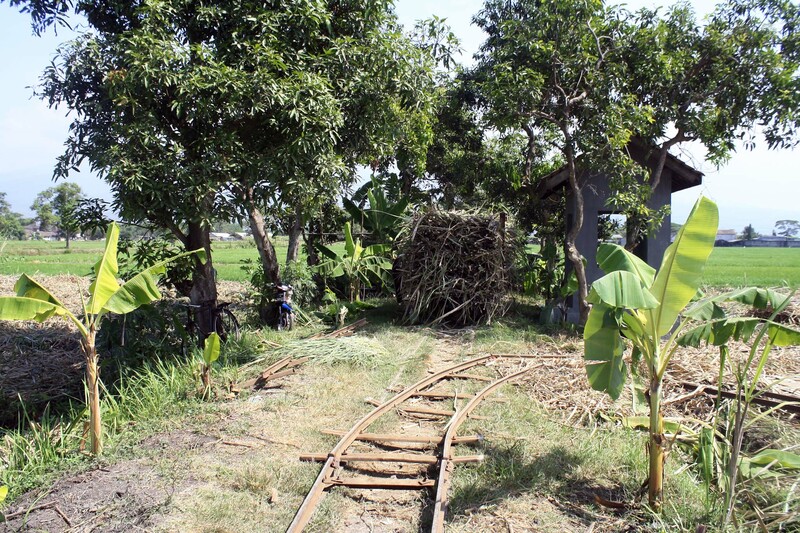 However, we eventually struck gold where we see several wagons being loaded with sugarcane at northern Winongan. The branch that led to the street running section is blocked with this wagon, maybe as a mark that no additional works are due on this line. 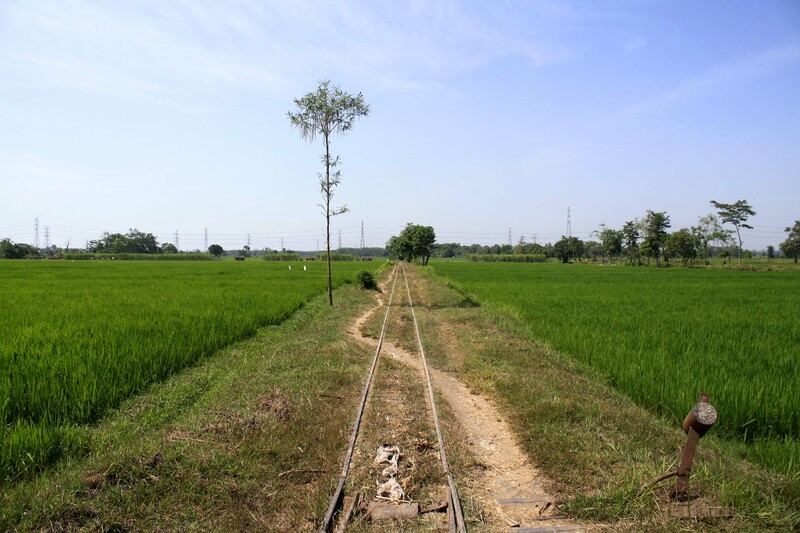 I have to say that compared to previous mills that we’ve visited, Kedawung field lines is truly scenic because it is mostly surrounded by rice field. Joop and Geoff walk to the spot with me. 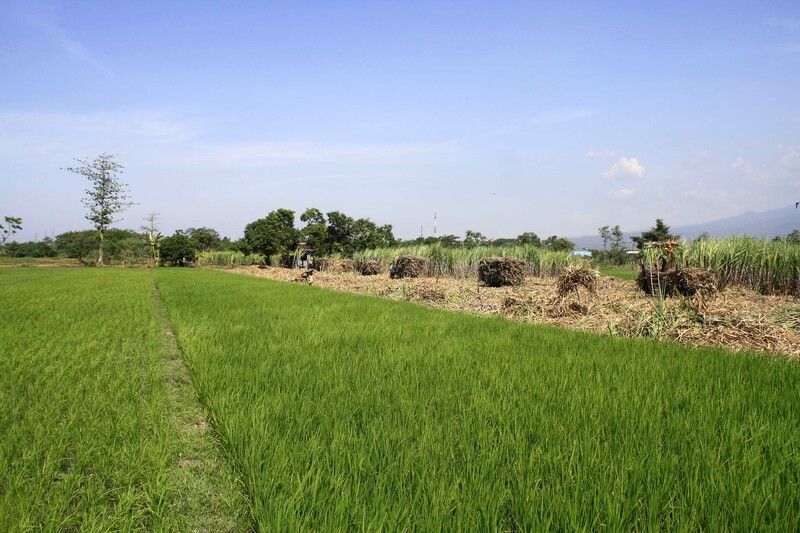 Compared to Jatiroto and Semboro, the field lines of Kedawung passes through more scenic countryside and villages, whose are dominated with rice fields. 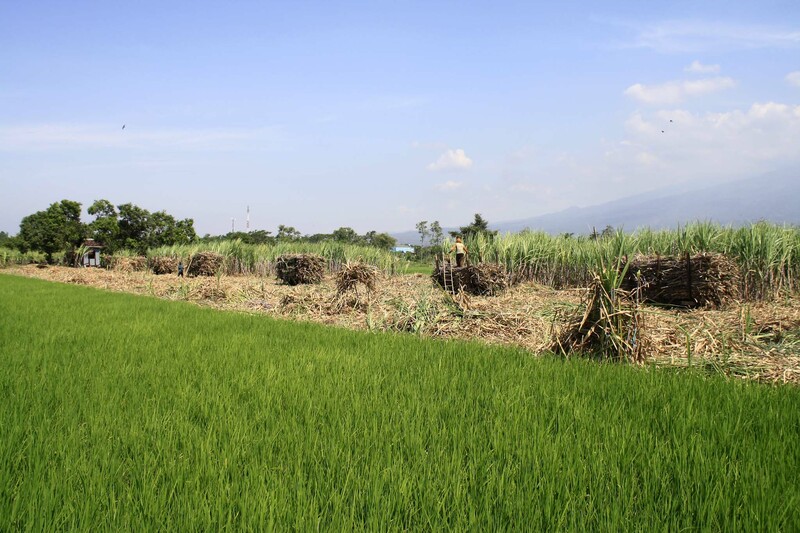 But ironically, that is the reason why the mill see fewer workings that the previous two because much fewer people planted sugarcane these days. We arrive at the loading point. The farmers are busy loading the harvested canes into the wagons. 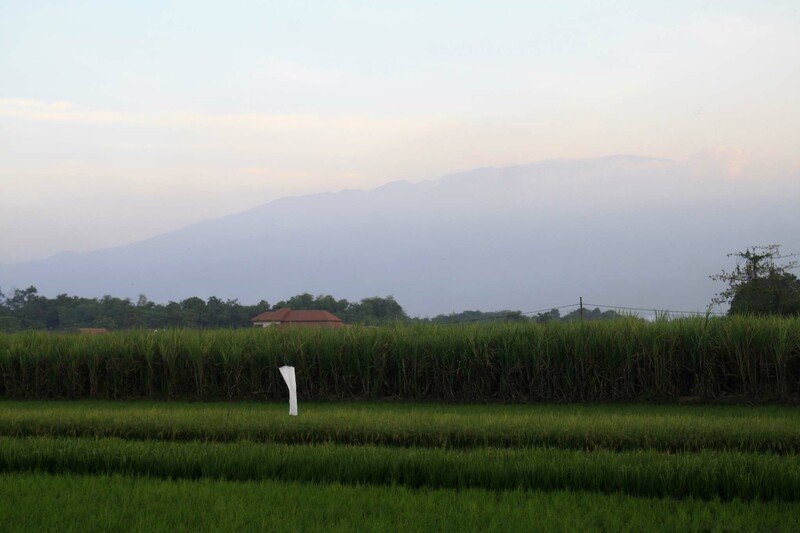 What is more interesting is the fact that we can also see mount Bromo in the distance too. Although we are in an open area, the temperature is actually quite cool. Not scorching hot like what we had in previous mills (namely Wringinanom and Semboro). I walk back to the main track, and come across the supervisor. I ask him when the loading process will be completed. It is around 1pm, and the works seem to have been 40% complete. I predict that it might be completed well before sunset. But against that, the supervisor says that the loaded train will depart after sunset. The reason behind such lengthy working time is the fact that none of the canes have been secured. And coupling large number of wagons takes long time. 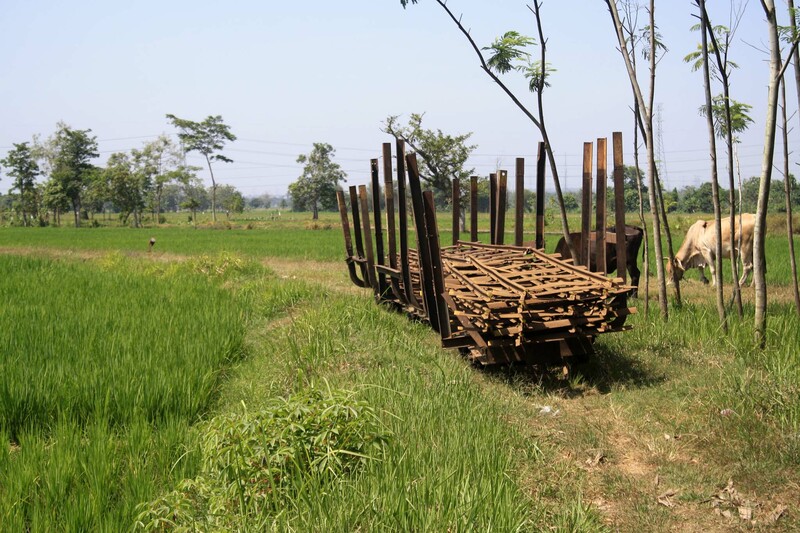 Not the mention that there are several wagons that yet to be dropped into the field and loaded. After that we bid farewell to him and return back to our car. We went for a lunch in Pasuruan before returning back again to see if there is any locomotive already deployed to retrieve loaded trains. We returned back to the mill, and when we arrive at the level crossing, there are no signs of locomotives. We drive along the railway line to the west from the mill, and suddenly we see a locomotive traveling into the distance! We quickly chase after the loco. Although at one point the road diverges away from the track, it doesn’t hinder us in chasing the locomotive. Thanks to the locomotive’s very slow pace we eventually manage to catch one at a level crossing in Toyaning. The driver, getting used to being chased after by trainspotters, decided to stop the locomotive and generously allowing us to get onboard. My brother doesn’t join and choose to remain in the car. We have a bumpy journey. Joop and Geoff don’t mind about the lack of comfort, and seem to enjoy the bumpy trip. 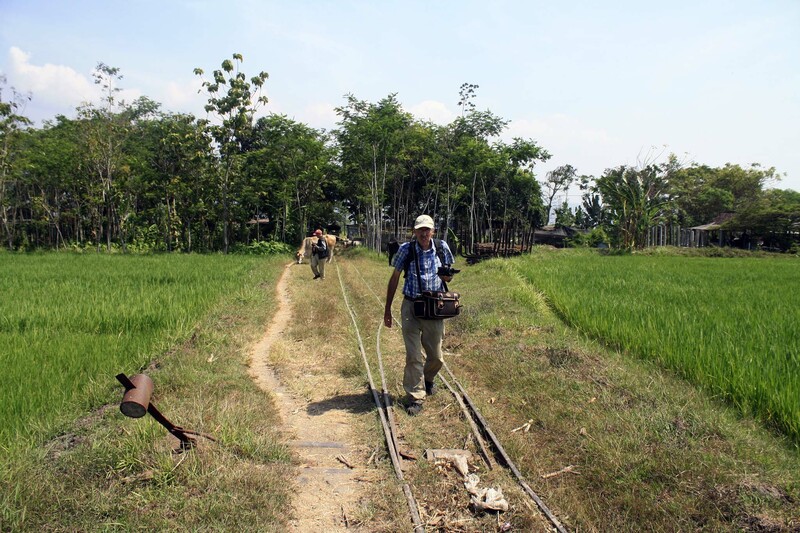 Compared to previous mills that we have visited (except Jatiroto), the field lines in Kedawung are very bumpy. The mill management never bothers to do proper track maintenance on their field lines network. 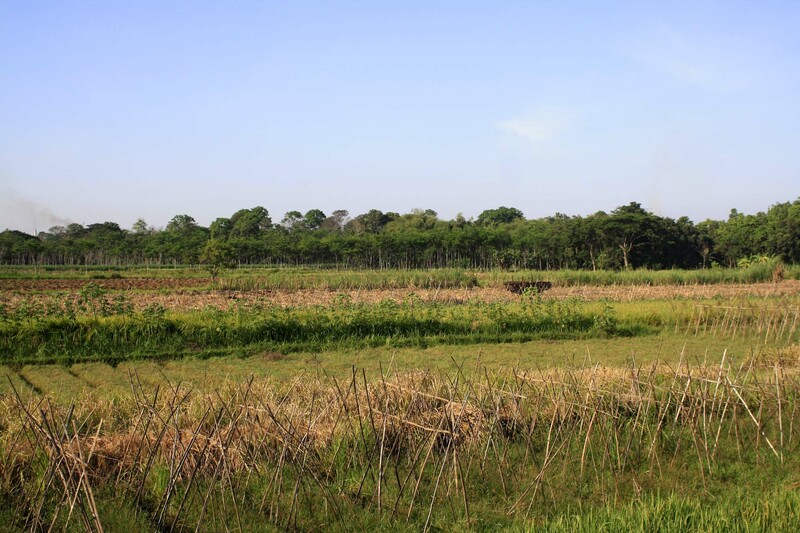 Talks about field lines closure have been up in the air in the past several years; exacerbated by the fact that tollway will be built across the plantation. Apparently our trip is a short one. Just a kilometer from the level crossing, our locomotive stop in a junction where they wait for loaded train. As soon as we disembark, we can see that there is another locomotive behind us. I assume that the loco is the one that we saw earlier near the mill. Both locos stopped side by side at the junction. One will retrieve wagons from the loading point near Winongan (that we visited earlier), while other will pick wagons from a loading point only a few hundred meters from this junction. 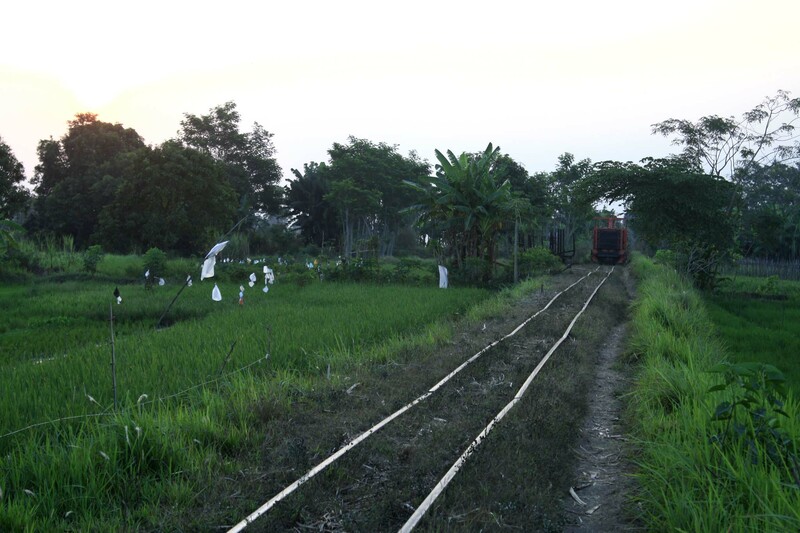 The temporary track has been set up to assist the loading, while the track beyond goes to Kawisrejo direction. The weather is really perfect for photography today. And the scenery is just wonderful. Not long afterward, there are busy shunting activities in the junction. 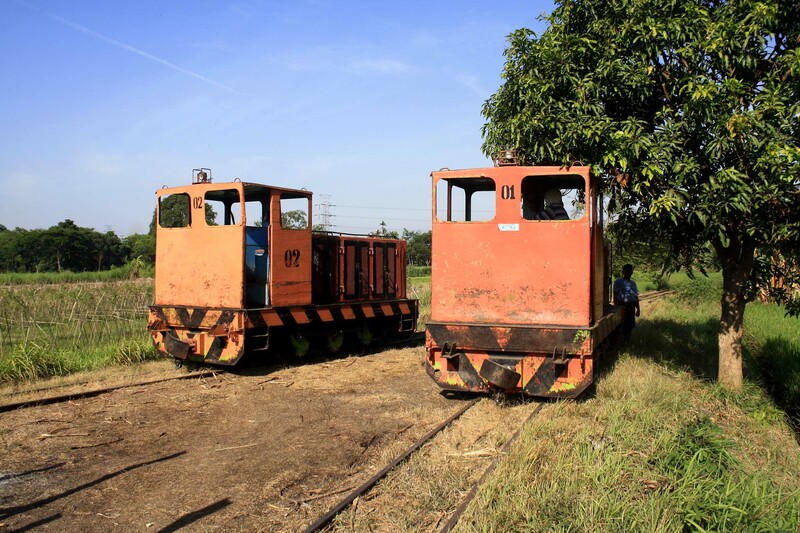 The locomotives go back and forth to arrange the wagons and also collecting some loaded ones. You can see the video of the activity below. Once the shunting activities ended, the loco no.2 head to the south, while no.1 stays here, waiting for more loaded wagons to come. Joop and Geoff enjoying their time documenting loading activities at the nearby loading point. While waiting for them, I chat with the locomotive driver. 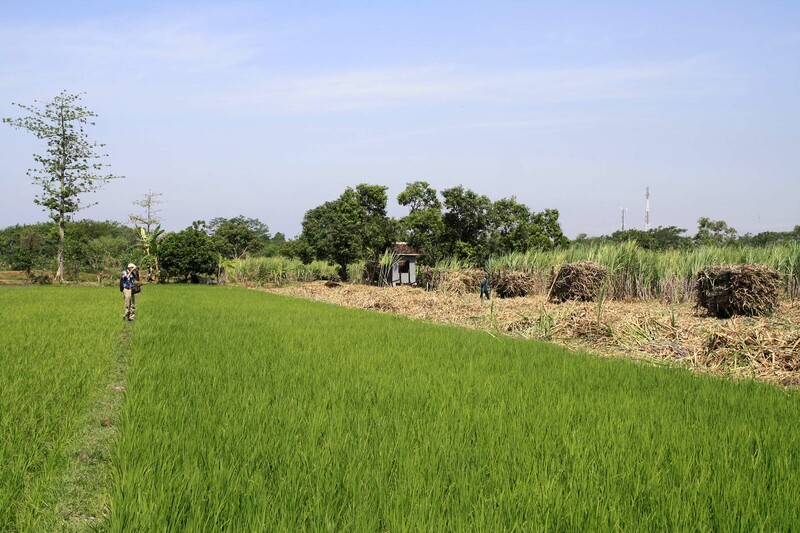 We talk about several issues, such as planned toll way construction which will cut across the sugarcane field. He said that the tollway is highly likely to be built using flyover method because it will have to cross several roads as well as narrow gauge railway lines. When I tell him about steam locomotive tour that we had in Semboro, he say that Kedawung sugar mill used to have similar thing. 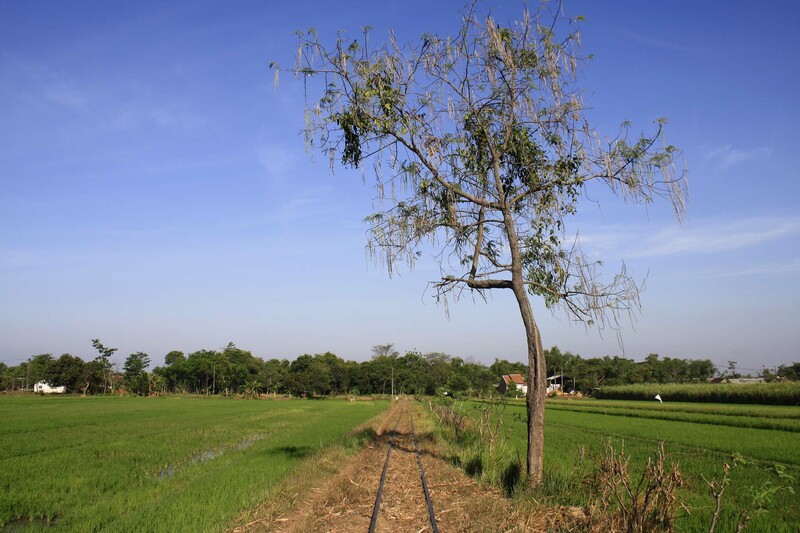 Back then the steam locomotive would haul open air passenger coach across its scenic field lines. The regular destination was Kawisrejo, where tour participants would be treated with traditional dance attraction as well as enjoying lunch (with traditional menu) in a guesthouse. 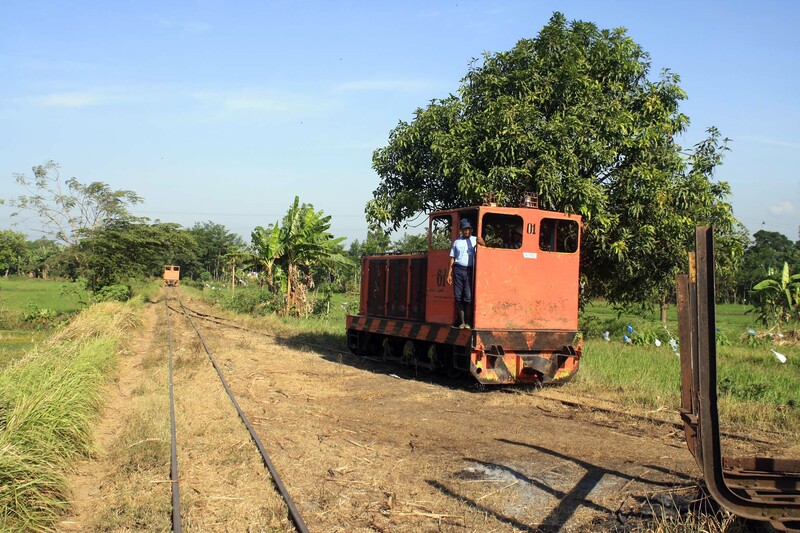 Unfortunately the services have long been ceased, owing to lack of serviceable steam locomotives as well as demolition of guesthouse in Kawisrejo. The driver excusing to me that he have to do some work. I bid farewell to him and return back to the car. Along the way I catch glimpse of mount Bromo. The Penanjakan summit can also be seen clearly too. As I walk further, the sky gets darker. I don’t see any additional wagons being prepared. I believe the train will eventually move way after dark. So this is definitely my last sight of field workings in Kedawung for 2017 season. Upon returning back to the car, I meet my brother who is sleeping in the car. He is asking where Geoff and Joop, which I replied that they’re still in the field. It’s only when the sun really have goes down that they eventually turn up. Both of them are exhausted, but very satisfied. Geoff remarked that this has been an incredible journey. We have had a very successful tour, and managed to find everything that we have aimed to see. But as we’re about to depart, suddenly this small locomotive turned up! Once they locomotive disappear, we resume our journey back to Surabaya, where upon arriving in the city I dropped both Geoff and Joop in the hotel. We later bid farewell and hoping that we can have similar tour again in the future. Well, that is really a good closing for our great tour. Indeed on this tour we have seen several things that we never see before. 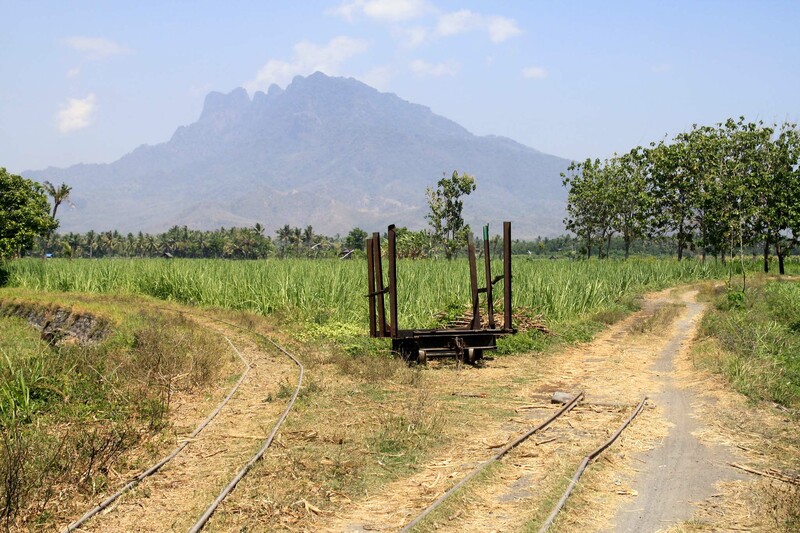 Such as scenic field lines in Kendir, where you can see mount Ringgit up close. 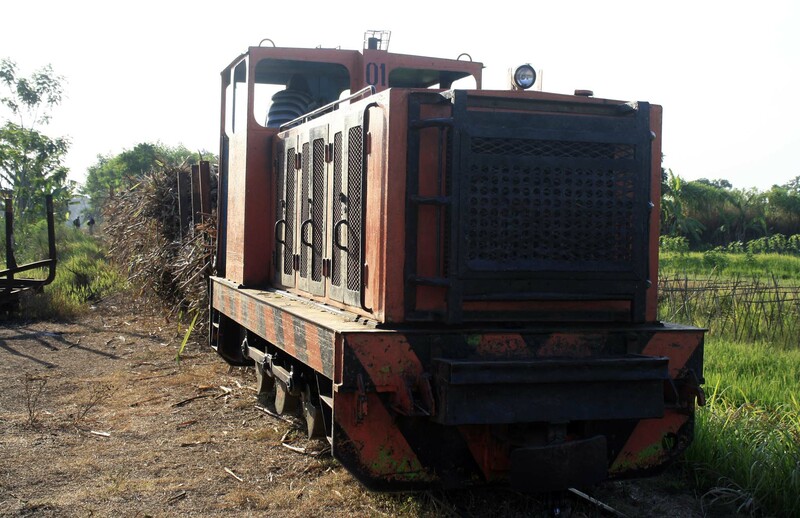 We have also found one rare British diesel in Wringinanom. 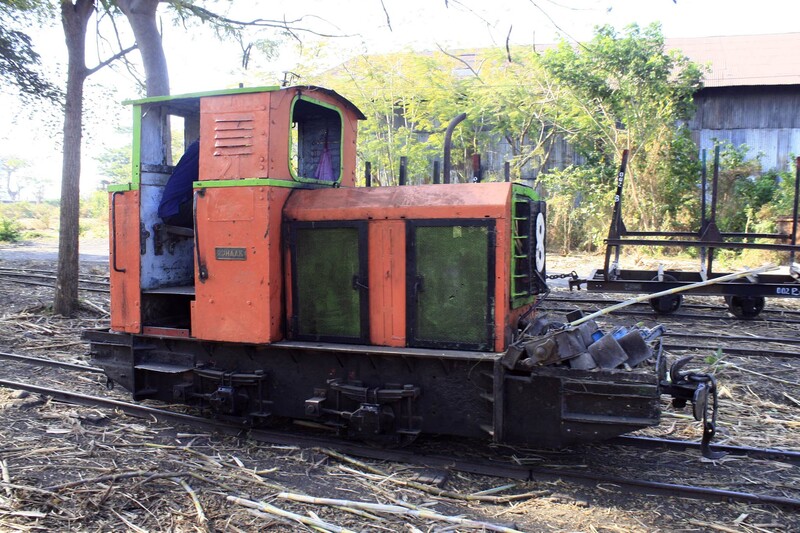 This Baguley diesel is so rare that it is one of its kinds left in Indonesia. 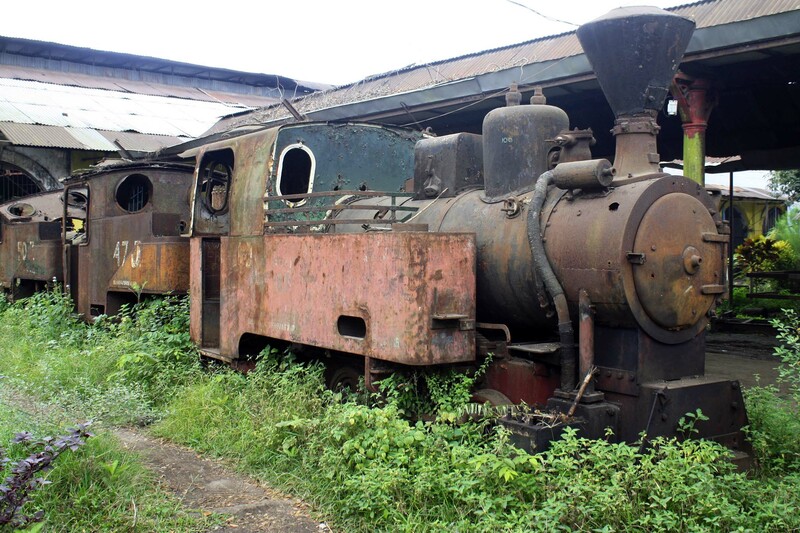 And lastly, I also get to know the fate of the loco that I’ve been looking for: Jatiroto J100. Well, it has been a great journey. Although the Java Steam & Sugar tour didn’t go as long as the original itinerary, at least I’m grateful that the tour has proceeded after all. 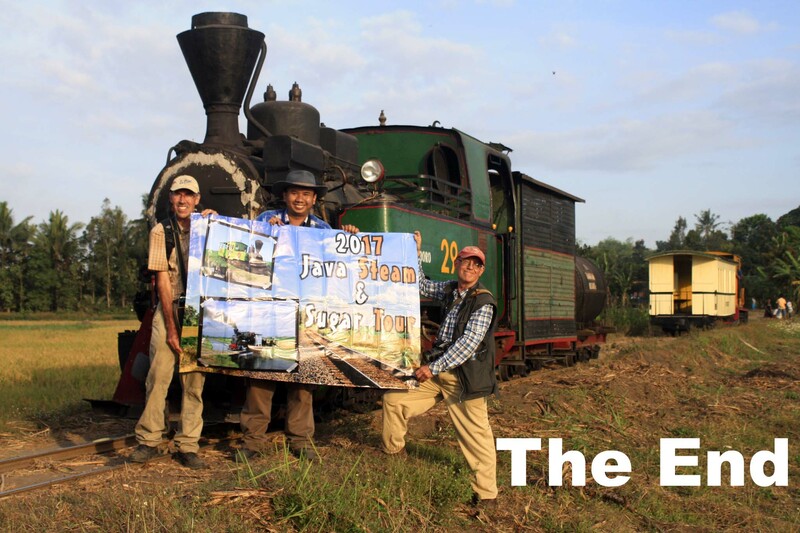 If you enjoy reading our trip report, and wants to join our future tour with more diverse scenery and more steam locomotives action, join us on 2018 Java Steam & Sugar Tour! 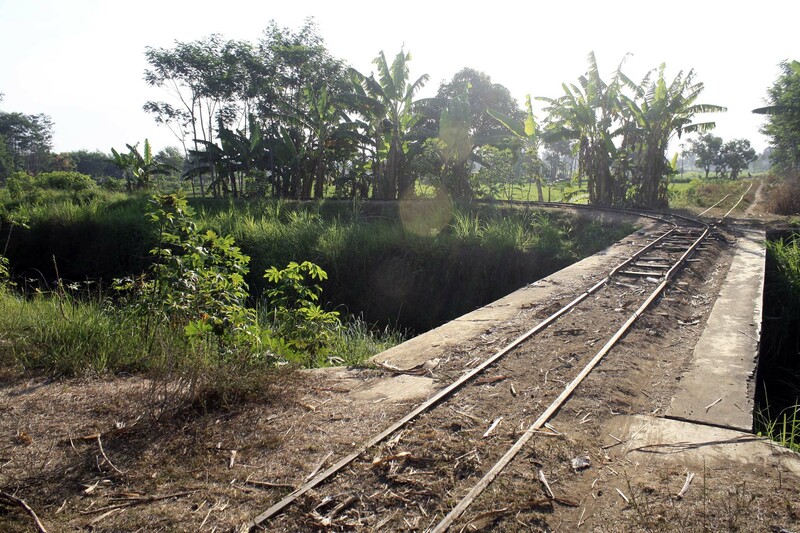 We will take you to beautiful places where you can get to see and even ride historic steam locomotives in Java, across one of the most scenic places in the world. Is very good .my place near pg.kedawung .